Dogs don’t want anything from you – they are charging you in full aggression and it is crazy scary! So if they are not trying to rob you, what do you do? The answer is simple – you have to become the “Alpha” by whatever means necessary. That means being prepared with something that will scare the dog away before he gets close enough to do any damage. And in the worst case if he is close enough to hurt you, your dog, or a little baby in a stroller like my niece then you must be prepared with a way of defending yourself that doesn’t kill the dog and won’t harm you. The answer is simple – you have to become the “Alpha” by whatever means necessary! The best and most effective way of doing this is being prepared with a stun baton. Simply, it is lightweight, affordable, and is plenty capable of producing a loud enough sound to scare off a dog or stunning them for enough time for you to get away safely. There’s no risk to you or your dog getting hurt. The attacking dog won’t die or get permanently injured. It will simply stun them for enough time for you to get to safety. If my family would have had one of these on them there would have been nothing to worry about. It is easy to carry with you, whether you are running, pushing a stroller, or walking your own dog. Do you want to be protected from attacks and know you are prepared against wild dogs? A stun baton is the best solution – but what is the best option? 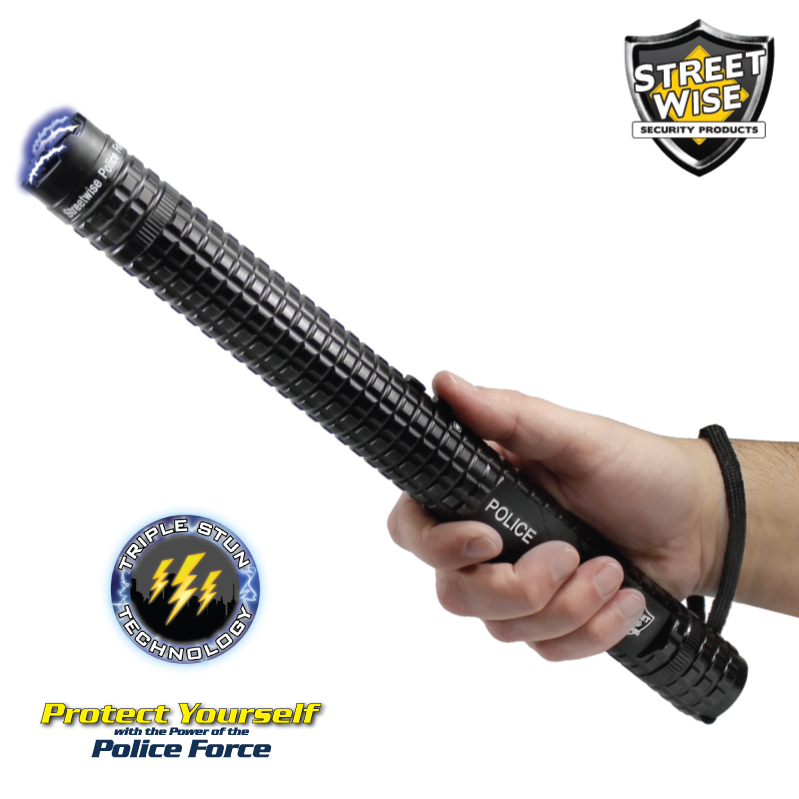 The best solution for this – hands down – is the Police Force 12Million Volt Tactical Stun Baton. It is just the right length to keep you safe and give you the reach needed to stun the attacking dog without being bulk to carry. Being made from super strong police grade metal it can withstand plenty of abuse and will last. It comes with an extremely bright flashlight to keep you safe during your early morning or late night walks. Hurry – this is a limited offer that will expire Friday! Just click the “Add to Cart” button to be prepared against dog attacks.